Inspect and change your air filter on a routine basis. We recommend changing your air filter monthly, especially if you have children or pets. Keeping filters clean prevents your blower motor from failing prematurely and prevents your system from freezing up at the cooling coil. If you have an outdoor ground unit make sure to remove all debris away from the system for maximum ventilation. This means leaves, yard clippings, etc. 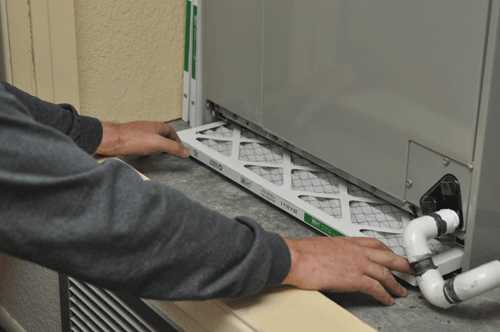 Inspect and clean your return and supply air grills keeping them free of air flow restrictions.